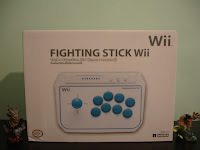 Cubed3 gives Hori's Fighting Stick Wii a Final Score of 9 out of 10. Since I have not tried the Fighting Stick yet myself, this article gives much needed insight into this controller's usability. At about $59 US, How many of these will you pick up?